The American linguist and philosopher Noam Chomsky once called our alliance and allegiance to Israel a form of ‘unusual imperialism.” At its root, the pro-Isreal coalition in the United States is nothing more than religious zealots and neohawks dressed in doves clothing. So adamant are they to prop up a ‘democratic’ nation in the Middle East that you will find scant criticism of the more than $10 million dollars we send Israel every day . Fox News quickly rolled out Holocaust comparisons. Megan McCain cried a river . Even Nancy Pelosi did everything in her power to turn and run. 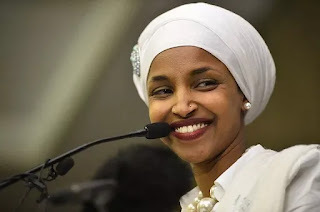 In this time of ultra-polarization, it was a sight to see the entire media and political apparatus in apparent agreement over Omar’s remarks. The neo-imperialistic instinct to control and police the world is a striking pattern that colors all frames of the modern nightly news and driveby media. When it comes to the big items, they always speak in unison.